On our first full day in Dublin, after a long walk through the city in the rain, we ended up at the forbidding Heritage Ireland site, Kilmainham Gaol. We walked through the gates and into the castle-like structure, and we were thrilled to have made it in time for the next tour. We still had plenty of time to warm up, dry off, and visit the museum before our guided tour began. The museum was fantastic, and surpassed only by that feeling one gets while walking in the exact space where history happened. There were several interactives, artifacts, videos, and images to tell the story of the Gaol as a prelude to the tour. One of the most impactful displays was that of a log book that dated to the time of the Great Famine; in the book, names were recorded with an offense, as well as the punishment incurred. Men, women, or children who stole even a loaf of bread were subject to imprisonment or even disfigurement in some cases. Rioting or horse theivery brought on even harsher punishments. 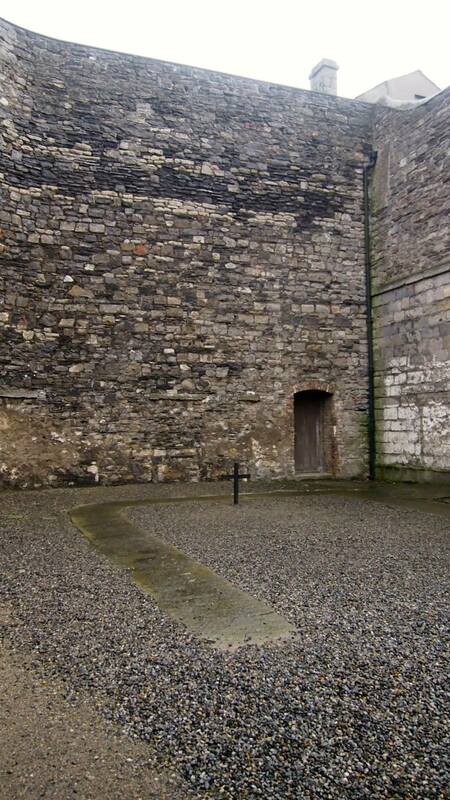 BEcause of the famine, cells became overcrowded, and often cells designed for 1 person housed 5. 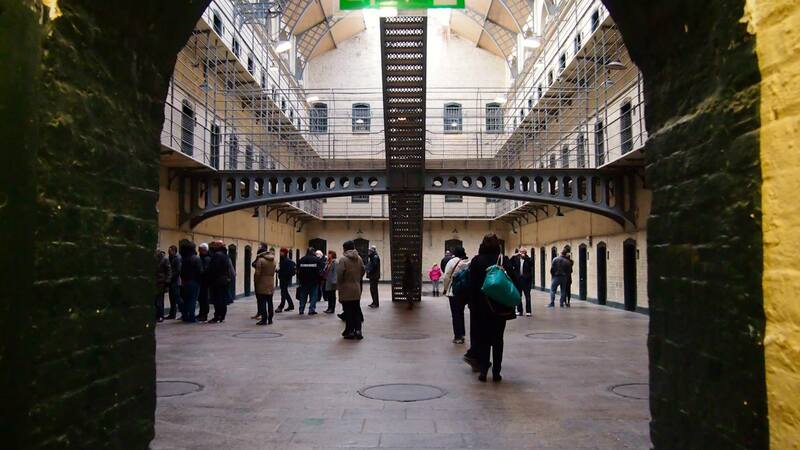 The Kilmainham Gaol has a horrific and tragic history. The oldest section opened in 1796, and windows contained no glass and there was no other lighting within the prison. This made for a dark, damp, and cold abode for those imprisoned there, especially since a prisoner was only given one small candle every two weeks. The people who called the prison “home” for any amount of time really tell the story of the Gaol, and Ireland as a whole. Political prisoners, often designated as such by English soldiers, were some of the most notable prisoners, with the first detained in 1796 when the Gaol was just opened. Cells along the older section of the gaol. Robert Emmet was another early political prisoner, along with his housekeeper, Anne Devlin. Emmet was executed for treason, but Anne’s story was possibly even sadder than his death. 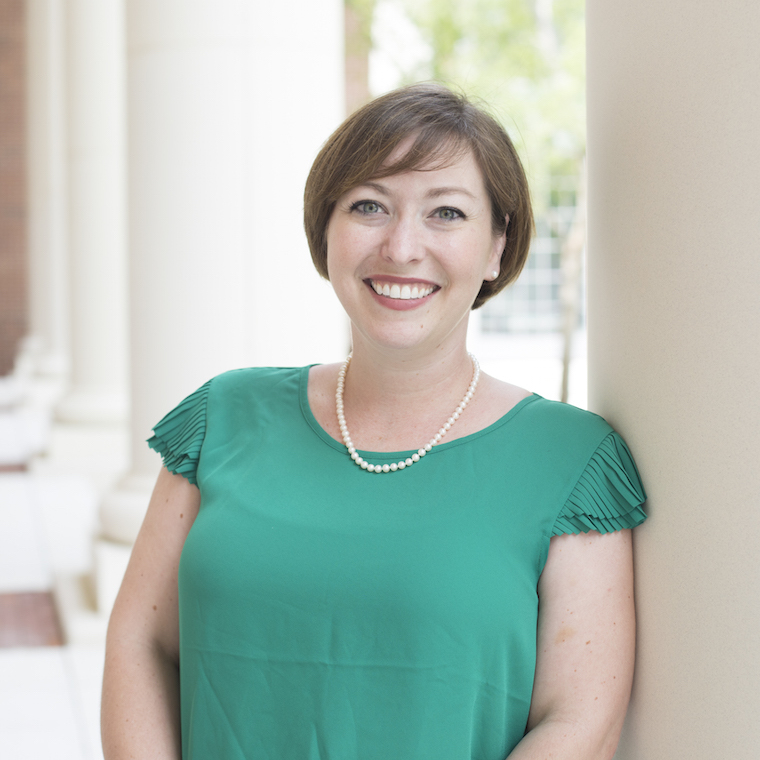 Anne’s story has stayed with me even now, and I would love to learn more about it. Essentially, Anne was jailed for carrying information for Emmet’s uprising in the early 1800s. She was imprisoned in one of these tiny, dark, damp cells and questioned endlessly for the information she had. She did not give any of the other conspirators up, and eventually she was released. However, not only did they imprison Anne, they also put her younger brother and many other family members in jail to try to influence her tongue. Her brother fell victim to disease from the open sewers, and died in the jail. Even after Anne was released, the police followed her, and she was unable to hold a steady job due to their harassment. She died alone and without much of anything because of this. All for the cause of Irish Independence (Éirinn go Brách!). As we walked through the gaol, already feeling cold and damp from our walk, the walls of prison did nothing to put us at ease or comfort. I think that this really impacted the tour as a whole, since we saw the dark and felt the cold, much like prisoners would at that time. Especially in the older sections of the jail, where many of the political prisoners were held. This again proves that, though you may be able to see so many things online and have a virtual experience, there is something about being IN the historic space, where you can TOUCH the history, and FEEL the atmosphere. This also calls for accessibility for all, to bring this back to my larger research projects. The site of execution for many of the “rebels” of the uprisings, less than 100 years ago. 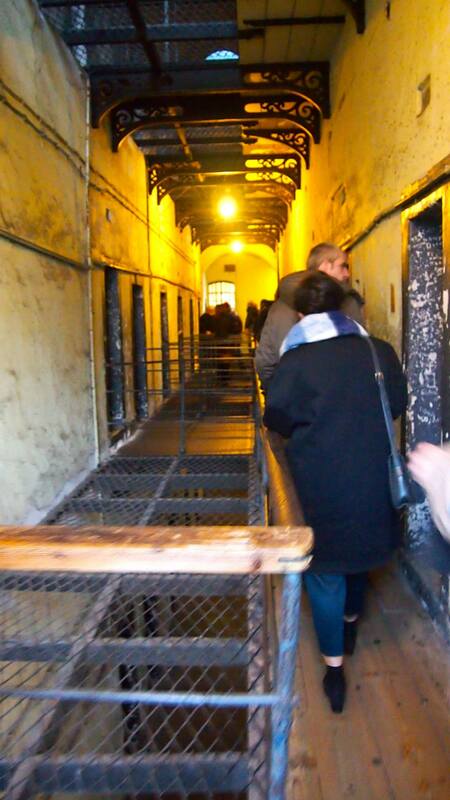 The tour ended on a sad note, and with some of the most recent history of the Gaol. 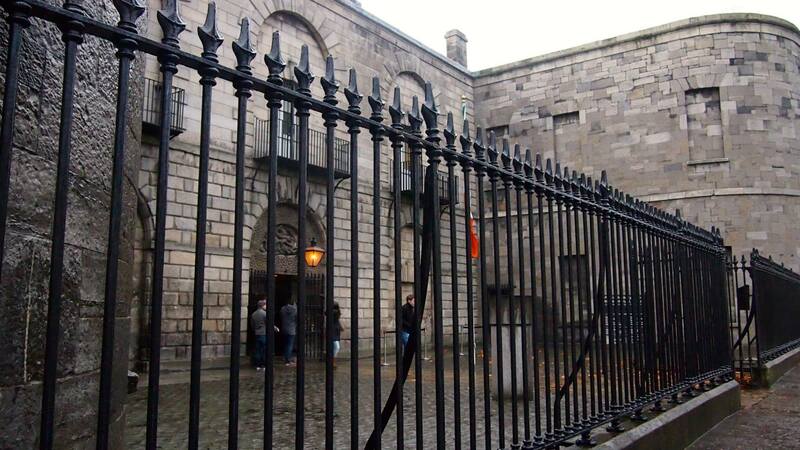 Less than 100 years ago, after the 1916 Uprising, the gaol reopened to house the hundreds of men and women accused of participating in and conspiring for the revolt. Our last stop on the tour was the stone breaking yard, where sixteen prisoners were executed following the uprising. All were killed by firing squad, and one, James Connolly, was so injured that he had to be tied to a chair then shot by the firing squad. All 16 were then dumped in a mass grave. The outcry from this led, along with a lot more fighting and struggle, to the eventual creation of the Republic of Ireland. Also interesting at the Gaol, and relevant to my current job, is the story of the Preservation of the Gaol. One of the last prisoners was future President, Eamon de Valera. 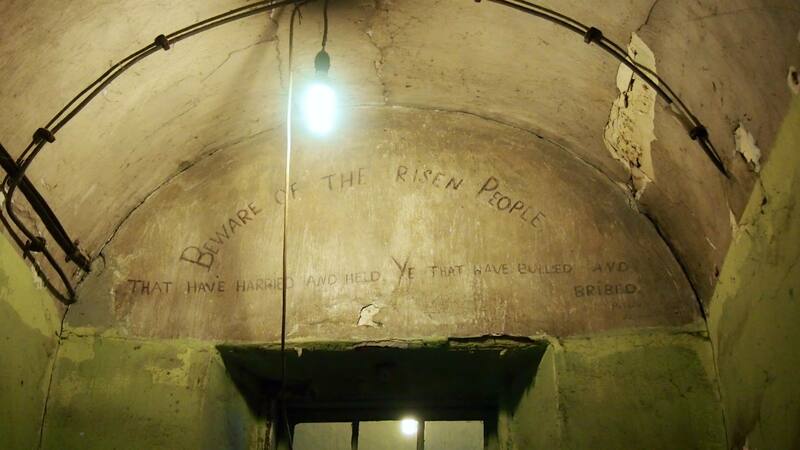 After the prisoners were released and independence gained, the Gaol fell into disrepair. 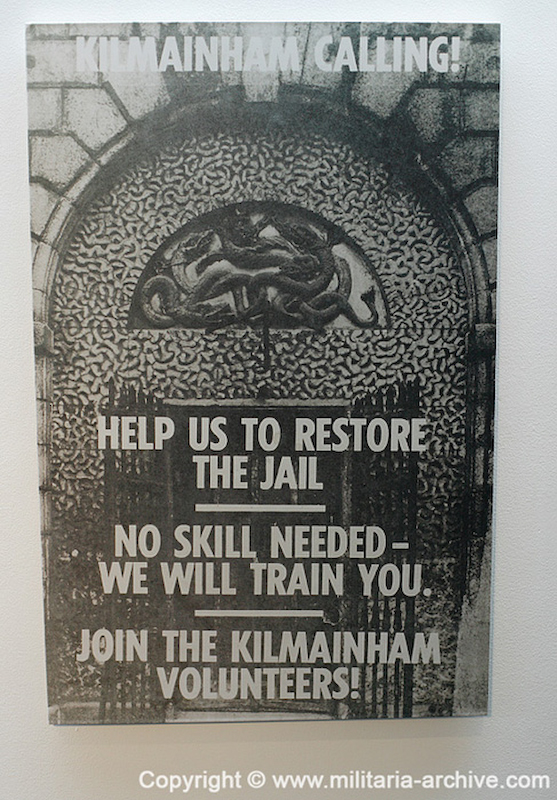 The Kilmainham Gaol Restoration Committee was established in 1960 to create a museum and monument to Irish nationalism. Kilmainham’s museum had a great exhibit about this grassroots restoration project. Truth. Another spot where you can truly feel the history. I really enjoyed my visit there some 30 years ago! The Goal was one of my favorite historic sites during my trip to Ireland last year. Great post.